Ponies were first introduced to Australia in 1803. By 1920, a distinct type had emerged there. A stud book was opened nine years later detailing the standards of conformation for the pony. 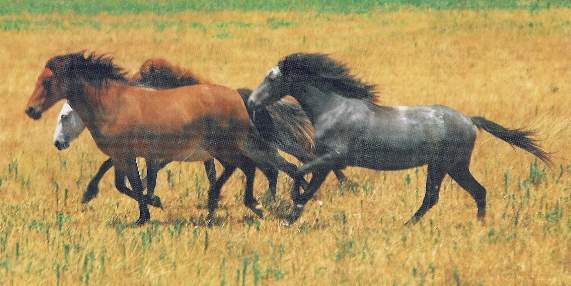 The basic stock for the Australian Pony is the Welsh Mountain Pony of Type A. Shetlands were introduced to give solid constitution and strength. Thoroughbred, Arab, and Hackney were later introduced. Australian Ponies have a show quality head: slightly concave with alert ears and dark eyes. Their neck is nicely rounded, their shoulders slope back and their hindquarters are well-rounded and proportioned. Their tail is set high and gaily carried, their leg bones are flat showing strength. They stand between 12 and 14 hands high. Although they are an excellent pony both in conformation and temperament, they are relatively unknown outside of their own country.